What happened was TMZ, they wanted me to get pictures appearing at the theater in costume. I was going to go to the 3d theater in Mankato up at the mall. I saw it here at Fairmont, where the theater doesn’t do it justice, so I was going to go see it at a good theater. It’s a 50 mile drive, and I thought it probably best not to spring them on it cold. I called the theater and asked, and they said they would greatly prefer that I not. 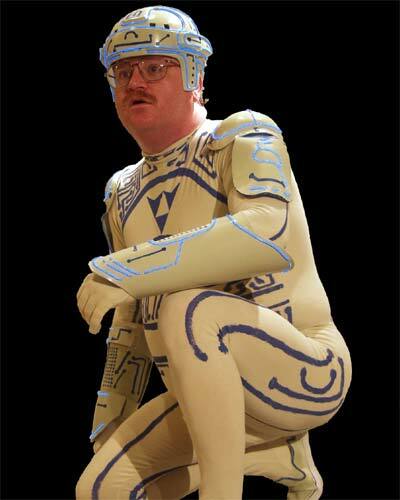 I cannot even read the name "Tron Guy" without thinking "Mooseknuckle".